Instagram is not only the photo-sharing app; it is much more than that. Its users include celebrities, brands, athletes, bloggers, and fans, etc. Meaning thereby, people are using this space for almost every possible reason. One of the most important uses of Instagram is to promote and growth of your business or brand. Businesses are using Instagram to reach their target audience and to promote, advertise and market their products or services. More than 800+ million users are actively using this space monthly. That being said, there is a very good chance that your target audience is regularly using Instagram to share their photos/videos and engage with their favorite brands. Instagram has a power to become a magic spell for your business if you know how to use it correctly. There are different ways you can use Instagram to promote your products and services, here are 4 effective ways to get the most out of Instagram. First thing first, if you want to grow your business on Instagram and reach your target audience, you need to strengthen your game of hashtags. Hashtags have the power to introduce your business to your target audience which in result help you gain followers on Instagram fast. The next thing that will help you grow your business on Instagram is your content. Once you have succeeded in making your hashtags game strong which means now you are discoverable to a large number of Instagram users, the moment your audience will come to your account they need to see the appealing and welcoming content of your business. You have to work on your account and your content. Your bio, name, profile picture and posts matter a lot in converting you're merely a follower to a prospective customer. Post pictures or videos that are related to your business. Irrelevant posts are a big turn off. Post high quality, entertaining and engaging content for your followers. In addition to it, you can also share your follower’s posts that are related to your brand or when they post something about your brand to show your customers' loyalty to your other prospective customers. Another easy yet powerful way to grow your business through Instagram is by engaging your community. Engagement has a very special place on Instagram, as according to new Instagram algorithm posts with higher engagement has higher chances to reach top places in search feeds and home feeds. Engage with your community as much as you can. This will help you get followers on Instagram. You can do this through a number of ways like run contests for your followers to engage them, ask them to share their pictures using your brand, asks them riddles related to your business, start healthy conversations, follow them back, etc. Show your followers the human side of your business by interacting with them to grow your business and reach your audience at large. Instagram keeps on adding new features for its users. These features are very helpful in growing your business. 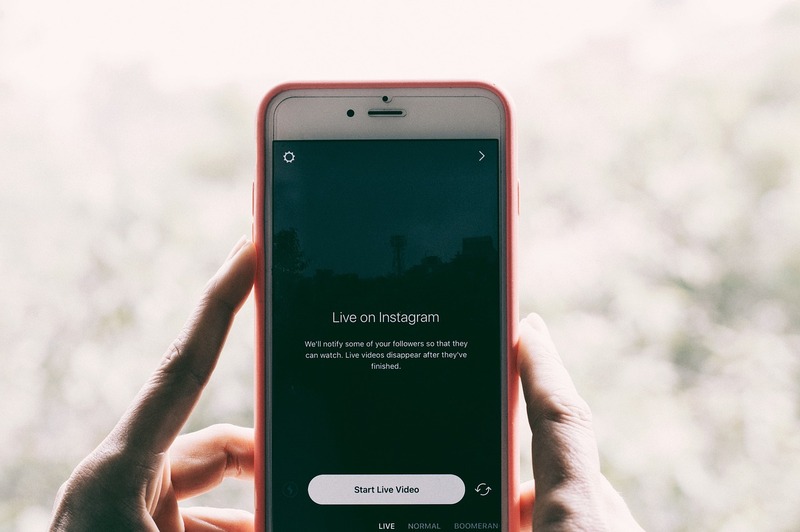 The latest Instagram features include Instagram Live that is very useful to conduct live sessions for your followers or your customers. You can conduct live sessions for tutorials of your new product or conduct live Q/A sessions for your community. Another feature is Instagram stories that disappear after 24 hours, and they are located at the top of the home page of users. These are the very effective ways of engaging your community in creative and fun ways. Make your Instagram stories creative so that more and more people view it and as a result, your business grows by reaching its targeted customers. In addition to this, another latest feature is the slider that lets you post more than one photo/video at a time. Viewers just need to slide through the content to see all your content in one post. It’s a fun way to post similar photos of a product instead of bombarding your followers with numbers of photos at a time. People love this slider feature, and that is automatically good for the growth of your business. So, these were some proven and easiest ways to grow your business using Instagram. Instagram has a great potential to grow your business; you need to make use of that potential and keep yourself calm and patient to see desired results for your business.